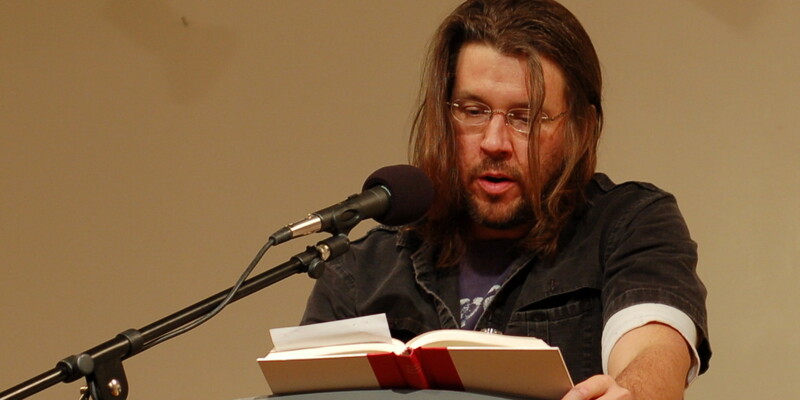 When David Foster Wallace addressed the graduating seniors at Kenyon College (like he has done so at several other universities), he made sure to instill ideas of personal growth and meaning in the way we live our lives. Much more important than the actual content we know or the money we make, he encouraged students to embrace the uncomfortable ideas, question ourselves, and develop a keen critical awareness. These skills, many of which of central to the liberal arts education, help us in whatever future careers we choose. While college freshman nowadays worry more about getting a job, making money, and preparing for graduate school rather than developing a meaningful philosophy of life, everyone wonders how to live a compassionate life. Though we all want to put a roof over our heads someday and have a reasonably comfortable life, that doesn’t mean that we should approach college as a business. We shouldn’t be so quick to seek utilitarian value, economic materialism, or scientific positivism in our work. We, college students, live in system with many assumptions and axioms about what makes us amazing people. We shouldn’t adhere to them dogmatically, but, instead, think about them critically. In this moment, volunteering, leadership, and well-roundedness are a few examples that come to mind. Why do we volunteer? Everyone can give many answers. We want to help others. We want to gain skills to become better people. We want to develop ethical, humanistic qualities. In many cases, there is something that we want to get out of volunteering. We might choose to work at a food shelter because we can put that on our resume or spend time at a senior citizen home so we can earn scholarships for graduate school. Seen this way, volunteering is a business. And it’s a problem. Volunteering needs to be about the value and morals we understand from our experiences. When religious doctrine encourages followers to aid the poor and spend time in charity, many of those followers would agree that they do not do so for the purpose of getting into heaven, but, rather, for more “noble” goals (such as becoming closer to God, making the world a better place, etc.) A lot of the best scientists, philosophers, poets, or anyone of any field understand that, in order to be the best, you shouldn’t work for the sake of getting a reward, but, rather, for the sake of working itself. Similarly, we should approach volunteering the same way. We need to volunteering without succumbing to the “rat race” of filling up lines on a resume or something similar. (As though virtues and morals could be determined through unskilled labor and a number of hours!) But, regardless of any experience we face, many of us want some sort of reward from volunteering. And this isn’t volunteering; it’s employment. To understand what volunteering is, we need better ways of understanding our volunteering experiences. Take, for example, volunteering internships/opportunities in third-world nations. Many of us boast these “life-changing”, “eye-opening.” But we don’t gain understanding of the harsh reality of the world when we’re protected by our invulnerable institutions for our own “business-like” benefit. Instead, we pamper ourselves that we’re making a difference and becoming moral human beings. In reality, real change in human beings doesn’t come from flying to new countries or dying for a cause; it comes from living humbly. Similarly, becoming a truly moral human being isn’t caused by your experience building houses for Habitat for Humanity nor engaging in clinical volunteer programs in Ghana; it comes from your deliberate, self-reflective changes to yourself on a day-to-day basis, many of which volunteering experiences may help you do. Like Wallace said, we do not obtain “meaning” from other places, but, rather, we create our own meaning in life. Leadership is another concept that has similar concerns. When we talk about “leadership”, we often think about positions in organizations that involve responsibilities such as programming, networking, organizing, and communicating. We can get involved in clubs, sports, or services But there was something we’ve all taken unquestioningly. With student organizations, programs, and activities promising “leadership experience” that will be given to us, how can we call it “leadership” if it’s something that we must receive from something higher than us? We mustn’t take “well-roundedness” for granted, either. Colleges and scholarship programs have drilled the ambiguous, ill-defined phrased “well-roundedness” into our skulls. But what does it mean? Some might say “well-roundedness” is about being good at things outside of the classroom. That could mean we have to play a sport, learn an instrument, etc., but that doesn’t tell us much about who we are. That just means we’re doing certain things when we’re not studying. Other might tell us “well-roundedness” means that, while grades are important, there are other qualities about us. But it’s still difficult to identify distinct, quantifiable skills that give rise to who we are. We might say there are “networking skills”, “social skills”, “communication skills”, “professional skills”, etc., and, as long as you commit to certain activities that are different from another you’ll gain those skills. Seen this way, those skills become the “goals” of well-roundedness. But there are still questions as to how we achieve those skills themselves. And, no matter how intrinsic we think those skills are to us, the university still encourages us to manufacture ourselves into them. Are those “skills” artificial? I think the way we become moral human beings and prepare for the rest of the world should be approached in a different way. Only through the value of the liberal arts education can we develop meaningful philosophies of life. With the freedom of studying humanities, science, arts, and anything else for nothing but the purpose of studying those things, we understand the way people think. We become better, more productive people through those simple methods. And we can understand that knowledge has more to offer than just a way to make money. As Wallace made it clear, the liberal arts cliché about teaching you how to think is “actually shorthand for a much deeper, more serious idea: learning how to think really means learning how to exercise some control over how and what you think.” At the end of the day, our extracurriculars, activities, and everything else don’t tell us anything other than what we get out of them. We need to develop the type of awareness to choose how we construct meaning. That’s how we develop a philosophy of life.